And one of the finest series of the current era has come to an end with a lot of stories to ponder about. And so we are also back with our Winners and Losers series to tell you who gained what and who lost what in the final rubber at The Oval - a Test in which fortunes fluctuated far too many times. Vihari’s first-class average of 59.45 before this Test was the best among all contemporary batsmen, with Steven Smith, Rohit Sharma, Virat Kohli, and Cheteshwar Pujara following him. It is the stats that played in every media outlet and most of them conveniently ignoring the fact that Test matches are also a subset of the first-class cricket. And his selection in the team ahead of the likes of Karun Nair and Mayank Agarwal raised more than few eyebrows and many called it nepotism on the part of the Chairman of national selection committee, MSK Prasad, who also belongs to Andhra Pradesh - a state that Vihari represents in domestic cricket now after moving base from Hyderabad. 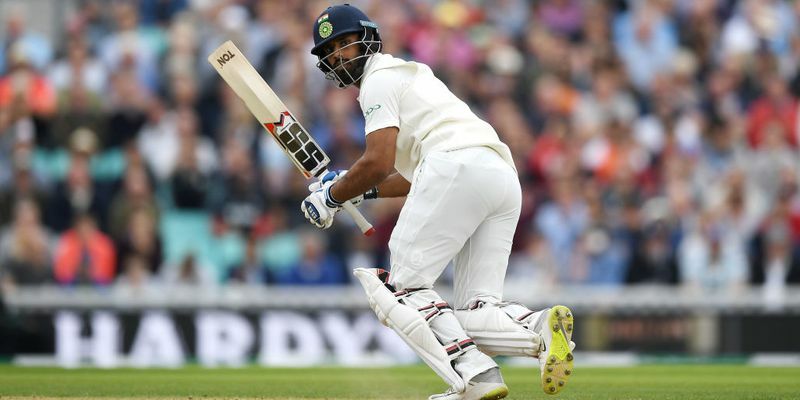 But, given the chance in the playing XI for the final Test, Vihari played an innings of substance and using his experience of playing in Essex first Division in 2015, he made sure that India had a respectable score on the board in the first innings. He may not have an excellent feet movement, but his hand-eye coordination was something that allowed him to drive balls easily - a trait that seems to be lacking in the current Indian set-up. After his batting heroics, he came back to dismiss three English batsmen, including Alastair Cook and Joe Root, and that performance can easily hide his duck in the second innings. Now, a spot is there for him to keep come Windies series and who knows, a couple of good performances there, and he will board a flight to Australia as well in November. When Alastair Cook strode out for one final time in his international career, you could sense the emotion of English fans even if you were not present physically at the stadium. To celebrate one of the mightiest characters in English cricket, the big screen showed a list of his greatest achievements followed by the hashtag #ThankYouChef. But, the surreal moment was presented by the fans who kept on clapping and it seemed like it would never end. There was a handshake from Virat Kohli, as there was in the first innings, but you could feel the emotion in the air. They flocked the stadium on a weekday and what a day it eventually turned out to be! Cook plodded, as he always does, but hit out as well - something that he rarely does. Cricket has been cruel to many of its greatest servants, but not to Cook though. He has always seemed to be a man on a mission and rarely waives off his concentration and cricket decided to salute him as well. Cook went on to score a lovely 147 runs and as far as symmetry goes, he did that 160 matches ago on his debut against India in Nagpur. Can it be a better sight than this? Cricket fans flocked to the venue to watch the Masterchef in action and what a dish the man served for them. Thank you, Chef. Wondering how Kuldeep Yadav made it to this list despite not being a part of the squad in the first place? Yes, such is the nature of our series. On a day when Kuldeep wrecked havoc against Australia A in Alur to pick up a five-wicket haul, Ravindra Jadeja - demoted in the pecking order as the third-choice spinner in the team for the Lord’s Test - came back and made a statement of intent for the India seniors. He picked up four wickets in the first innings and scored an unbeaten 86 runs to keep India in fray. He, somehow, he failed to replicate the same in the second innings with the ball, but still ended up picking another three wickets in the second innings. The performance can not only help Ravindra Jadeja be the first choice spinner for the Windies series and Australia series coming up, and considering the stature that Ashwin enjoys as an all-rounder, it will be a real tough for Kuldeep to break into the team anytime soon. It may be blasphemous to say that James Anderson was a loser in the game. A Test, which saw the legendary pacer overcame Glenn McGrath to be the highest wicket-taker among pacers to etch his name in the annals of the game, he also failed to secure the wicket of Virat Kohli even once in the 10 innings he had gotten a chance to do so in the series. Four years ago, the battle between them was one of the finest narratives to have come out of the sport as Anderson exerted supreme control over Kohli to dismiss him four times in 2014 tour. However, this summer, it went the other way as Kohli returned the triumphant, completing the series with 593 runs and not getting out to Anderson even once. There were small battles though and Anderson drew as many as 48 false shots from the Indian talisman but to no avail. Of course, Kohli has made changes which is the major reason behind the Indian captain’s success, but when the history book will be rewritten after a decade or two, Kohli-Anderson duel would be considered as one of the best battles of all-time. Had Kohli gotten out to the English spearhead even once, it certainly would have taken himself to a lesser level than it is now.